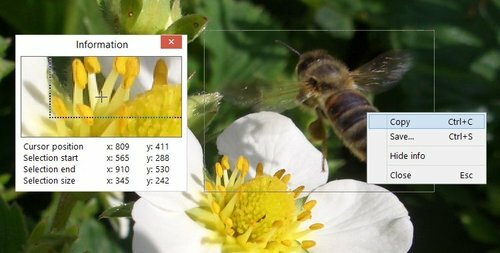 Screen Beagle Pro 1.72 was available as a giveaway on March 22, 2018! 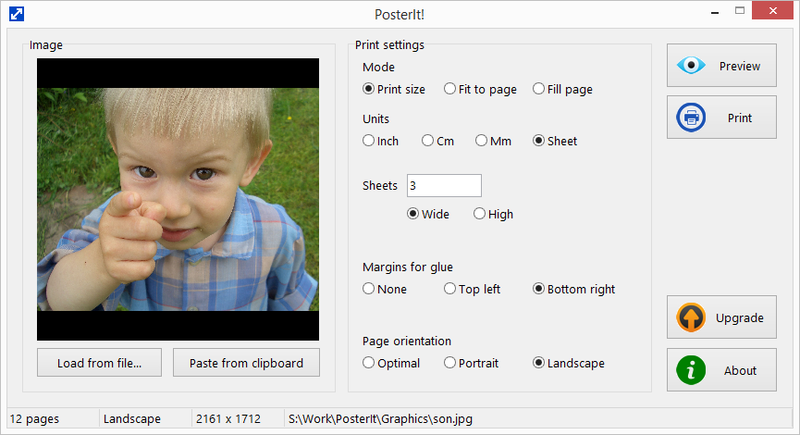 An advanced screenshot utility which can copy either the screen, or a selected part of the screen to either the clipboard, or to a BMP, GIF, PNG or JPG file. Screen Beagle defaults to a single tray icon, which can be right-clicked to activate any of these utilities. 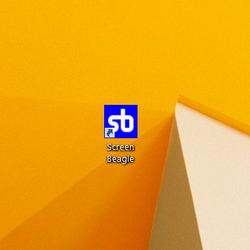 If you are doing intensive screen work, Screen Beagle can display separate icons for any or all of the separate utilities - allowing quick access with a single click. How would you improve Screen Beagle Pro 1.72? JustType - On-screen assistant for blind typing. It will help you to be familiar with touch typing without any tutors. You'll type, not to learn to type as you do with the keyboard tutors programs. JustType displays the on-screen keyboard, the keys of which at any given time are shown exactly the same characters that appear in text, typed when you press the key of your real keyboard. Print your photos and images on multiple pages with PosterIt! PosterIt! is a image print utility that allows to print photos, arts, posters, schemes, charts, diagrams, maps and so on with unlimited size on any printer. UnHackMe eliminates various types of malicious software: Search redirecting; Popup ads; Potentially unwanted programs (PUP); Unwanted processes; Slow browsing; Rootkits; Trojans; Spyware; Keyloggers. Your magnifier should offer this ability - Magnify the whole screen BUT WITH NO RECTANGLE (no Border). When you move the mouse top left you see the 25 % top left corner of the screen. Ditto top right, and ditto bottom left, and ditto bottom right. As you move the mouse you are navigating over the magnified image. Your magnifier should offer this ability - Magnify the whole screen BUT WITH NO RECTANGLE (no Border). When you move the mouse top left you see the 25 % top left corner of the screen. Ditto top right, and ditto bottom left, and ditto bottom right. As you move the mouse you are navigating over the magnified image. Rob Down Under, nice idea, thanks! You're not offering discounts to GOTD users today on any of your other software? Dmitry, You're not offering discounts to GOTD users today on any of your other software? Thanks for the link, Dmitry. 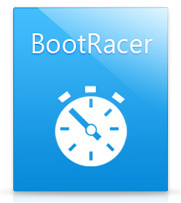 But I was interested in Boot Racer, which I don't see on that page. Nice utility, but only works on a system's primary monitor. So how do I find or take care of that annoying registration code box that keeps popping up as I'm trying to use this newly downloaded program? I haven't gotten any emails from the company providing such a code. Did I miss this on some completion screen? I really like Screen Beagle. Maybe you could add a pixel width and height counter to Measure. Good Utility. Thank you. 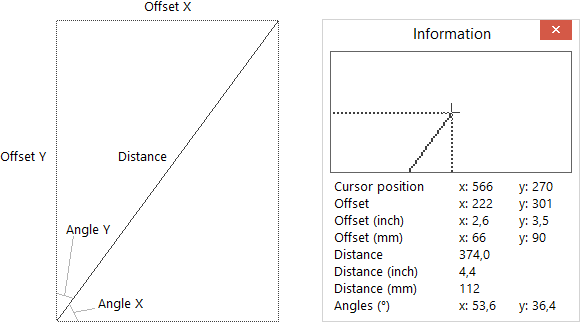 Howard R., offset x and offset y are the width and height. Dmitry (developer of Screen Beagle), I think Howard R. meant measuring distances not only in inches or millimeters, but also in pixels. I too think that would be a good improvement. However, the Offset and Distance (without units in parentheses) are in pixels. ouialaraison, Oh. However, the Offset and Distance (without units in parentheses) are in pixels. Interesting program. A feature I would like to see is the ability to copy part of the screen that is out of sight. For instance, you are looking at something on the screen you would like to copy, but part of the content can't be seen unless you scroll down to see the rest. It would be nice to be able to copy the part of the screen that includes whats on the main screen and some that has to be scrolled to see. I don't want to have to make the screen zoom smaller to get everything in because some items on the screen can get too small to read if you have to zoom down too far. I like the dropper option. Being able to get the actual color RGB values of any part of the screen is really useful to me. Interesting program. A feature I would like to see is the ability to copy part of the screen that is out of sight. For instance, you are looking at something on the screen you would like to copy, but part of the content can't be seen unless you scroll down to see the rest. It would be nice to be able to copy the part of the screen that includes whats on the main screen and some that has to be scrolled to see. I don't want to have to make the screen zoom smaller to get everything in because some items on the screen can get too small to read if you have to zoom down too far. I like the dropper option. Being able to get the actual color RGB values of any part of the screen is really useful to me. Thank you for the the 1 day offer. However PickPic is a freeware much more usefull than this one. "PicPick" is excellent software, a 10 out of 10 (in my book) and available in a portable version, too. Screen Beagle also works very well. I recommend both. @ Jitendra Trivedi, "PicPick" is excellent software, a 10 out of 10 (in my book) and available in a portable version, too. Screen Beagle also works very well. I recommend both. Jitendra Trivedi, does PickPic give the actual color in Numerical OLE? or HEX? or PhotoShop? or Numerical Win32 or HTML or CMY? or CMYK or VB or C++ or YPbPr? or Delphi or others? as well as RGB? is RGB at 100% on the values? I use 'SnagIt' for screenshots with my development and but always looking for a ColorPicker. Does user have to install all of PickPic to get the color picker option? The portable version of "PicPick" does give the color information you mentioned in your question to Jitendra when the color picker option is selected. Try it. You'll like it. @ Spyke - to SaaS or tonot(SaaS) The portable version of "PicPick" does give the color information you mentioned in your question to Jitendra when the color picker option is selected. Try it. You'll like it. Even i am not sure how this tool can come of any help to me. I think Screenshot can be used even using the default Win Hotkey Print Screen. Maybe i'll remove it after few days. What is the point in keeping something if there is no use. But thank you GAOTD, i don't know what is the motivation behind u always coming up with new software in the board. dakotaboo, the program is hidden in the tray, go there to hidden programms with a left click on ">". Than a right click on the red square. Hope I could help. 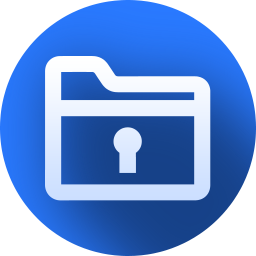 Help - I can't find the registration code or key in the readme file. screwn, The key is in the readme file that GAOTD provides, not the file that opens after ScreenBeagle is installed. Dan, thanks a lot. Found it, registration succesful. I think the measuring and angles features will be useful, I'm going to make drawings for an extra room at my summer house. Looks like this is a keeper for me. However, the functioning only on the primary monitor is a minor inconvenience. I noticed that when using the Measurer and Dropper, if I left-click, I will get a Magnifier window open up at the point of my mouse cursor, blocking what I'm trying to measure or drop. I can move to a different spot on the screen and left-click to move the magnifier window to there, and get it out of the way, so it's a minor inconvenience only. When using the Dropper, how do I "copy them [the text representations of the colour] to the clipboard"? Ctrl-C doesn't work, right-click produces a context menu without that option, and left-click produces a magnifier window? Looks like this is a keeper for me. However, the functioning only on the primary monitor is a minor inconvenience. I noticed that when using the Measurer and Dropper, if I left-click, I will get a Magnifier window open up at the point of my mouse cursor, blocking what I'm trying to measure or drop. I can move to a different spot on the screen and left-click to move the magnifier window to there, and get it out of the way, so it's a minor inconvenience only. When using the Dropper, how do I "copy them [the text representations of the colour] to the clipboard"? Ctrl-C doesn't work, right-click produces a context menu without that option, and left-click produces a magnifier window? OH! That "magnifier window" that "gets in the way" *is* how you select the colour, *then* you hover the mouse over the items in the Information window and click on which information item you want copied into the clipboard buffer! Not at all intuitive, and not explained in the application's readme.txt file, but now that I know this, the app becomes *much* more useful! OH! 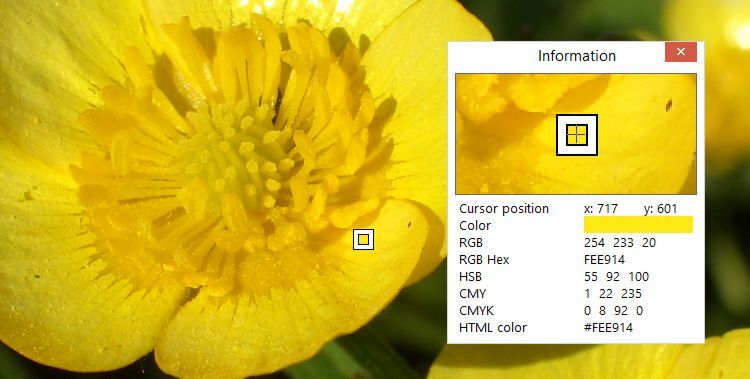 That "magnifier window" that "gets in the way" *is* how you select the colour, *then* you hover the mouse over the items in the Information window and click on which information item you want copied into the clipboard buffer! Not at all intuitive, and not explained in the application's readme.txt file, but now that I know this, the app becomes *much* more useful! Actually, playing with it more, there are *two* windows that appear on a left click. Yes, a magnifier window appears that gets in the way, but once you move it out of the way, then you can use the dropper the way it was meant to be used. Dan, you can also move this additional window over the screen. Just drag it with the window header. Screen Beagle Pro was easy to install and easy to use. However, it does not appear to be able to handle multiple screens. It only works on the screen identified as the primary. All functions that I tried, Capture, Magnify, and Measure only work on the primary screen. When trying to use on the secondary screen it still only "sees" the primary. It would be great to see multiple screens incorporated into this very useful tool. If you are using Windows, it comes with a tool called "Snipping Tool". If you open that, you can select any portion of the screen you are on and it will take a snapshot of that area. And then you can save it to a folder of your choice on your PC. If you place the tool on your task bar it will be easily available any time you need it. Just another option for you. All the best. Mary, Hi Mary If you are using Windows, it comes with a tool called "Snipping Tool". If you open that, you can select any portion of the screen you are on and it will take a snapshot of that area. And then you can save it to a folder of your choice on your PC. If you place the tool on your task bar it will be easily available any time you need it. If you are not using windows, there may be other tools you can use... Just another option for you. All the best. Very simple download, installation and registration today (thank you). I appreciate the small size and non-obtrusive tray icon. So far, this program does everything it says on the tin, and having (these specific) multiple tools in one is quite handy. I don't care for the 2 separate boxes spread across the screen -- the info box at the top left and control box at the bottom right -- but that was resolved by simply moving them closer together, and the program remembers my window state. "Esc" to exit most windows is a great feature one would expect (but having to escape a tool each time is a bit bothersome). The screenshot utility is a bit limited. Seems best for capturing drawn sections only. Fortunately, this is what I'd use it for primarily, but the program could take some tips from my favorite program, Greenshot, on screen layout and such. However, the options to resize and reposition the drawn box are two features that are very helpful in today's giveaway program. The dropper should be the simplest utility of them all, yet it's a little cumbersome. Please use only a single cursor instead of both a dropper and pointer cursor. The dropper info box could also use some improvements. It's not so apparent at first that the values are clickable (and will copy to clipboard), and there are no obvious options to copy values in specific formats (beyond the listed values, sometimes I may want a customized copy of the values). Lastly, hover state colors on the values would help to see what we're clicking. Currently, it's difficult to tell which value the cursor is clicking and whether we truly clicked it properly or not. These simple adjustments can greatly improve this program. I'll stick with Colorzilla for now. The measuring tool suffers from a few of the same issues... info box is opposite on the screen from the control box until you reposition it. Really could use a drawing guide to position our first click to start drawing. The info box isn't the friendliest to read and grab info from, and there's no copy to clipboard function for those many values listed. Also, how does one make the drawn box remain on the screen? I gave up on this utility, and mostly use the browser's web developer tools to inspect elements on screen and find their size. I have little use for screen measuring beyond the browser currently. Thank you for this utility. While I may not need it, I'm sure it will come in very handy for many others. Very simple download, installation and registration today (thank you). I appreciate the small size and non-obtrusive tray icon. So far, this program does everything it says on the tin, and having (these specific) multiple tools in one is quite handy. I don't care for the 2 separate boxes spread across the screen -- the info box at the top left and control box at the bottom right -- but that was resolved by simply moving them closer together, and the program remembers my window state. "Esc" to exit most windows is a great feature one would expect (but having to escape a tool each time is a bit bothersome). The screenshot utility is a bit limited. Seems best for capturing drawn sections only. Fortunately, this is what I'd use it for primarily, but the program could take some tips from my favorite program, Greenshot, on screen layout and such. However, the options to resize and reposition the drawn box are two features that are very helpful in today's giveaway program. The dropper should be the simplest utility of them all, yet it's a little cumbersome. Please use only a single cursor instead of both a dropper and pointer cursor. The dropper info box could also use some improvements. It's not so apparent at first that the values are clickable (and will copy to clipboard), and there are no obvious options to copy values in specific formats (beyond the listed values, sometimes I may want a customized copy of the values). Lastly, hover state colors on the values would help to see what we're clicking. Currently, it's difficult to tell which value the cursor is clicking and whether we truly clicked it properly or not. These simple adjustments can greatly improve this program. I'll stick with Colorzilla for now. The measuring tool suffers from a few of the same issues... info box is opposite on the screen from the control box until you reposition it. Really could use a drawing guide to position our first click to start drawing. The info box isn't the friendliest to read and grab info from, and there's no copy to clipboard function for those many values listed. Also, how does one make the drawn box remain on the screen? I gave up on this utility, and mostly use the browser's web developer tools to inspect elements on screen and find their size. I have little use for screen measuring beyond the browser currently. Thank you for this utility. While I may not need it, I'm sure it will come in very handy for many others. Dmitry (developer of Screen Beagle), Or as we say in the USA, "if it ain't broke, don't fix it!" Jos Jack, you may want to specify hotkeys for each of these 4 utilities in preferences, helps you to avoid that from happening. Jos Jack, on the programs home page the differences are mentioned. This unique utility can measure distances and angles between any two points on the screen. Since version 1.2 Screen Beagle can measure distanses in inches and millimeters. Available ony in Pro version." This useful utility can acquire the color of any pixel on the screen, transform it into text formats (RGB, RGB Hex, and HTML), and display these text representations or copy them to the clipboard. Available ony in Pro version." Infer from that what you will probably both entire features are available only in Pro version. Jos Jack, on the programs home page the differences are mentioned. "Measurer This unique utility can measure distances and angles between any two points on the screen. Since version 1.2 Screen Beagle can measure distanses in inches and millimeters. Available ony in Pro version." and "Dropper This useful utility can acquire the color of any pixel on the screen, transform it into text formats (RGB, RGB Hex, and HTML), and display these text representations or copy them to the clipboard. Available ony in Pro version." Infer from that what you will probably both entire features are available only in Pro version. TK, yes, and one more difference - the information window is available only in Pro version. Little better than some free magnifiers. The developers need to look at the freeware competition. What a stupid comment. It is much more than a magnifier. John Rupik, What a stupid comment. It is much more than a magnifier. No hassle today: I had hardly clicked the download button that the zip file was in my download folder, the registration key already in the Readme file. No email and/or personal data harvesting, no two/three/four steps touring on web pages or hours spent waiting and searching my spam folder to get the code. Only little difficulty (W10x64): after installation, the icon failed to show in the systray. I had to look for the .exe file in C:Program Files (x86)\Greatis\Screen Beagle and double click it. Then the icon showed and I could register. Unfortunately, for whatever reason, as soon as I click the name of one of the four features, my screen is magnifyed and only the top left part is displayed. If I don't solve that issue, I will have to uninstall. Pity, I had many uses for this. No hassle today: I had hardly clicked the download button that the zip file was in my download folder, the registration key already in the Readme file. No email and/or personal data harvesting, no two/three/four steps touring on web pages or hours spent waiting and searching my spam folder to get the code. Only little difficulty (W10x64): after installation, the icon failed to show in the systray. I had to look for the .exe file in C:Program Files (x86)\Greatis\Screen Beagle and double click it. Then the icon showed and I could register. Unfortunately, for whatever reason, as soon as I click the name of one of the four features, my screen is magnifyed and only the top left part is displayed. If I don't solve that issue, I will have to uninstall. Pity, I had many uses for this. ouialaraison, looks like I have to run utility after installation. I'll do it in the next version, thanks! Could you please let me a little bit more about the issue? Looks like you run Magnifier and entire screen is zoomed, right? ouialaraison, looks like I have to run utility after installation. I'll do it in the next version, thanks! Could you please let me a little bit more about the issue? Looks like you run Magnifier and entire screen is zoomed, right? Dmitry (developer of Screen Beagle), thank you for your presence here. Actually, when I run any of the four utilities, the screen is zoomed in and, as I said, the top left part only is displayed. But I identified the cause: in Windows display settings, the scaling is set at 125%, which is the scale recommended for me by the system. When I set it at 100%, Screen Beagle works okay. But I can't do this permanently, because everything is too small for me to work comfortably. Is there a solution? Dmitry (developer of Screen Beagle), thank you for your presence here. Actually, when I run any of the four utilities, the screen is zoomed in and, as I said, the top left part only is displayed. But I identified the cause: in Windows display settings, the scaling is set at 125%, which is the scale recommended for me by the system. When I set it at 100%, Screen Beagle works okay. But I can't do this permanently, because everything is too small for me to work comfortably. Is there a solution? ouialaraison, my scaling is at 130%, and when I need to reduce it, I hold down the 'Ctrl' key and rotate my mouse's scroll wheel one way or the other -- whichever way that reduces the type on my monitor. Hope this might be a solution. Suze, actually, for me, as I use a touchpad, it is pinching/unpinching with my fingers. But it doesn't work when Screen Beagle is running... Thanks anyhow! ouialaraison, I'll fix the problem in a week or two. Please keep it installed and visit program's webpage in April. This upgrade will be free for all registered users. Tiny Program. Simple to install and register. When first downloaded and installed look to the start menu as it wont show on desktop. Click open and then need to locate file on task-bar (Quick start) and away you go. Magnifier is able to be moved along a section as you go rather than magnify the whole screen, which I like and the screen shot is simply brilliant. For example, any users of facebook can copy, close program and THEN past into comments on Facebook. I am sure there are LOTS of ways that this can be used so its a definite keeper for me. Unfortunately, until you CLOSE the particular utility that you are using, nothing else seems to work (Unless there is a get-round that I have as yet, not discovered). Tiny Program. Simple to install and register. Very useful utility. When first downloaded and installed look to the start menu as it wont show on desktop. Click open and then need to locate file on task-bar (Quick start) and away you go. Magnifier is able to be moved along a section as you go rather than magnify the whole screen, which I like and the screen shot is simply brilliant. For example, any users of facebook can copy, close program and THEN past into comments on Facebook. I am sure there are LOTS of ways that this can be used so its a definite keeper for me. Unfortunately, until you CLOSE the particular utility that you are using, nothing else seems to work (Unless there is a get-round that I have as yet, not discovered).